The Irish Cancer Society has said that it has seen a rise in people applying to its Financial Aid Scheme in the past year. CANCER PATIENTS ARE struggling to cover living costs while undergoing treatment, the Irish Cancer Society has said. It said it has seen applications to its Financial Aid Scheme increase by 36 per cent in the last three years, which now accounts for an annual spend of over €1 million. The top three reasons recorded for needing financial assistance are heating and fuel (50 per cent), travel expenses (25 per cent) and childcare (7 per cent). Breast cancer patients make the most applications, followed by lung cancer patients and then colorectal cancer patients. The Irish Cancer Society expects this figure to grow in 2013. Kathleen O’Meara, Head of Advocacy and Communications at the Irish Cancer Society, said on Morning Ireland this morning that cancer patients are struggling to cover their living costs and that this in turn is causing additional stress for people. She said that people who in the past would have had funds to fall back on now don’t have those funds. She continued that a cancer diagnosis can be catastrophic from a health point of view, and a psychological point of view, but it can also be catastrophic from a financial point of view. People who are neither covered by private medical insurance nor medical card are also being billed for their chemotherapy treatments. Hospitals are entitled to bill for day treatments such as chemotherapy, from €75 up to a maximum of €750. “This has always been available to hospitals but until recently they haven’t been charging it,” said O’Meara. Some patients who are financial difficulties are hearing from debt collectors, which O’Meara said has been going on for two years and “is not new and not surprising”. This is causing cancer patients additional stress, she said. The Irish Cancer Society is in touch with the HSE, in particular about the medical card issue, and said cancer patients who do apply for medical cards are having those applications expedited. 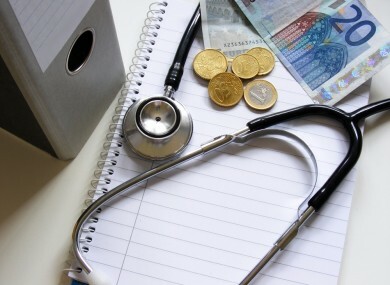 Research carried out by the National Cancer Society and National Cancer Registry of Ireland in 2010, showed that 55 per cent of those surveyed had to use their savings to cover costs because Government support or private health insurance was not adequate. The Irish Cancer Society believes that this figure has increased given further Government cuts since 2010. In response to the findings of the 2010 research, the Irish Cancer Society has established a volunteer driving programme called Care2Drive and which is already operating from 10 hospitals nationwide, taking cancer patients to and from their treatments. The society has also extended its Financial Aid Scheme, published a booklet on how to manage the financial impact of cancer and established Daffodil Centres in hospitals where patients and their families can get in-person advice. The Irish Cancer Society’s financial supports for cancer patients are ‘a last resort’, and it says that as over 90 per cent of applicants have medical cards, “it is clear more needs to be done by Government to help patients with their increased living expenses that arise from their cancer diagnosis”. The Irish Cancer Society’s financial aid line is available on 1800 200 700. Email “Fears that cancer patients may skip chemo over financial problems”. Feedback on “Fears that cancer patients may skip chemo over financial problems”.